New Hope Cat Rescue and Sanctuary is organized exclusively for charitable and educational purposes, more specifically to provide shelter and care for stray, abused, and abandoned cats; to find suitable homes for the cats in its care; and to promote positive community interaction through education, spay-neuter programs (TNR), and other activities that enable people to responsibly enjoy the companionship of cats. New Hope Cat Rescue and Sanctuary recognizes as its core policy that it shall be a no-kill organization, meaning that no cat in its care, either within the shelter premises or the foster system, shall be destroyed except when it has been determined, in accordance with guidelines established from time to time by the Animal Care Team, that such cat is severely suffering, hopelessly ill or injured, or beyond medical treatment. The determination of whether any cat is “beyond medical treatment” shall never be based solely on the cost of such medical treatment. Our long term goal is to have a Sanctuary where people can come and spend time with the cats in “their” environment. We have found that cats do not put their best paws forward at adoption events as they are very stressful environments for them. 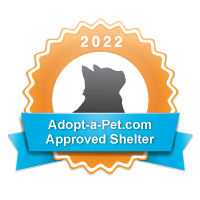 We have cats that for various reasons may never be adopted and we would like to provide them with a safe and loving place to live out the remainder of their lives. 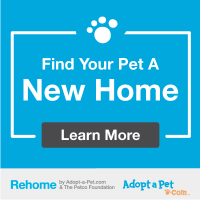 New Hope Cat Rescue and Sanctuary rescues cats and occasionally dogs and we provide them with love, shelter, food, and veterinary care until they are placed in their forever homes. In addition, we identify areas where there are feral or homeless cats that need to be spayed or neutered. We then TNR (trap, neuter, return) the cats and provide them with a rabies shot, vaccinations, and any other medical care they may need. After they have recovered, we return them to where they were trapped and they are then taken care of by a caregiver for the remainder of their lives. TNR dramatically reduces unwanted litters of kittens and fighting among unneutered males. Our ongoing daily needs are food, food bowls, scoopable litter, litter pans, kennels, beds, blankets, scratching posts, toys, and cleaning products. We are also in need of monetary donations for spays/neuters, vaccinations, rabies shots, dewormer, medical care for sick or injured cats and medication.